The gate drops at Red Bud. This year Red Bud is on July 2. The 2016 Supercross season is done. Ryan Dungey successfully defended his Supercross championship. The focus now shifts outdoors. The biggest change for the riders will be transitioning to the loose and less controlled environment of outdoor tracks. Many of the top riders–excluding Chad Reed–have been putting in long test days on tracks like Glen Helen, Milestone and Zaca Station in preparation for the National opener next weekend in Hangtown. For some, the Nationals will be about defending titles and carrying the momentum of the 2016 Supercross season. Others are looking for redemption and a new beginning. The 2016 Supercross season claimed a few major injuries, but most big names are recovered and ready to embark on a 12-race outdoor schedule. The 2015 AMA National series was a wild one. 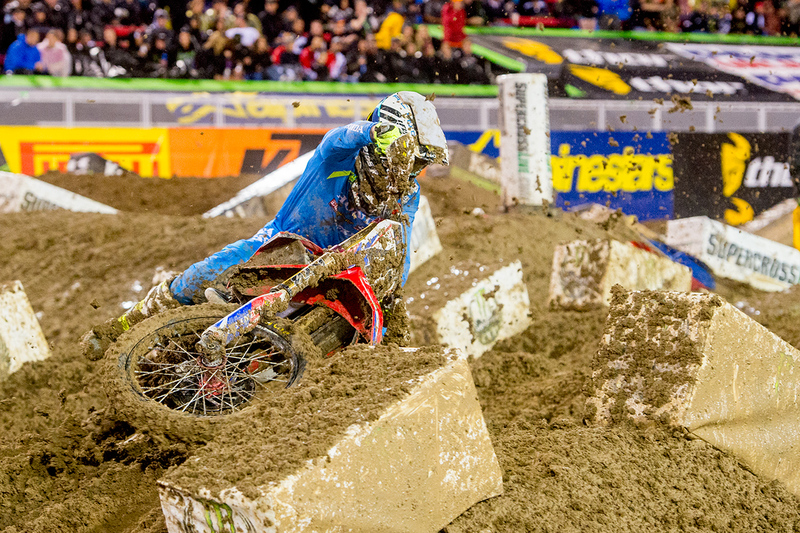 Eli Tomac was the man to beat when the 2015 season started. The Geico Honda rider had swept the first two races at Hangtown and Glen Helen. His dominating lead extended to Thunder Valley where he won the first moto. Tomac was leading the second moto when he suffered a devastating crash. Both shoulders were injured, with one of his rotator cuffs torn completely. With Tomac out, Ken Roczen and Supercross champion Ryan Dungey jumped in to fill the void. While Dungey continued to keep the upper hand on Ken Roczen, a new challenger showed up mid-season at High Point raceway–Justin Barcia. The three would make the podium consistently for the rest of the season, although Ken Roczen had trouble keeping pace midway through the series. Enter the 2016 Supercross season. Ryan Dungey dominated. 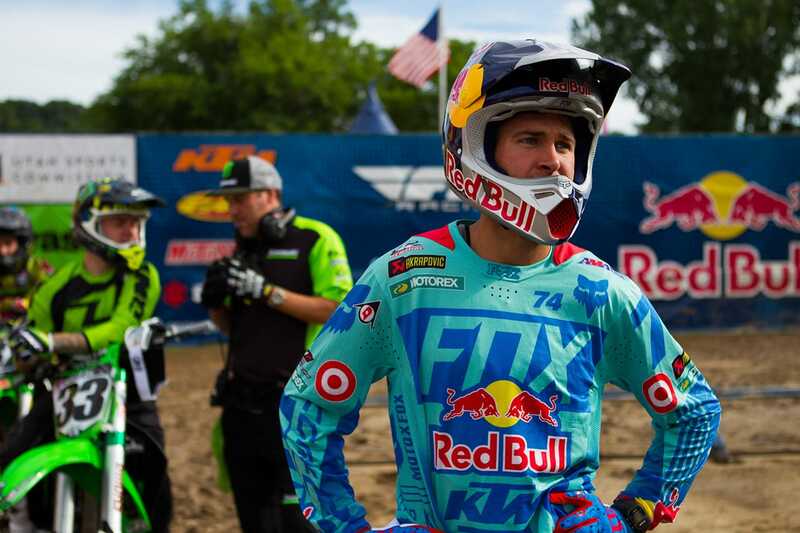 Ken Roczen has a slow start to the season. Eli Tomac had little time on his Kawasaki having come off a late preseason injury. Justin Barcia seemed like a strong contender in the 2016 season, but a preseason hand injury forced him to the sidelines. 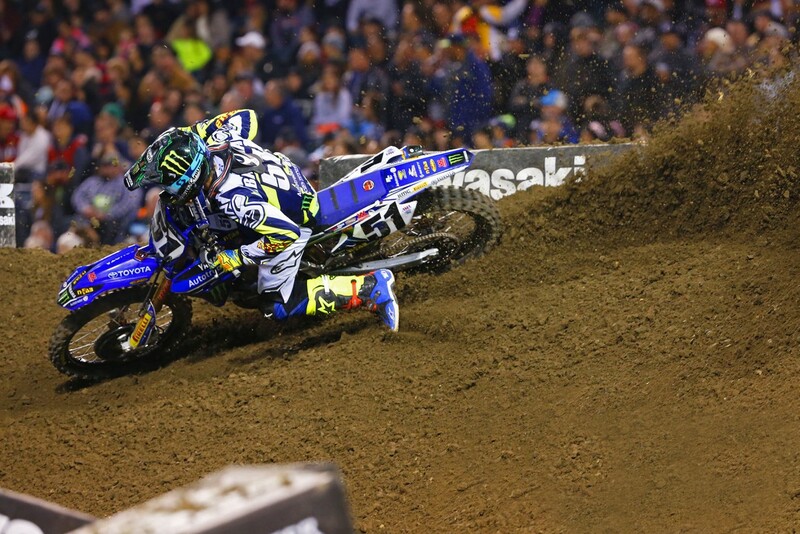 Upon returning, Barcia still hadn’t found his groove in the Supercross season. That doesn’t mean much when it comes to the outdoors, especially for a guy like Barcia. Just like last year, he may excel in the Nationals. While Jason Anderson started the 2015 National season strong, but he faded mid-season. 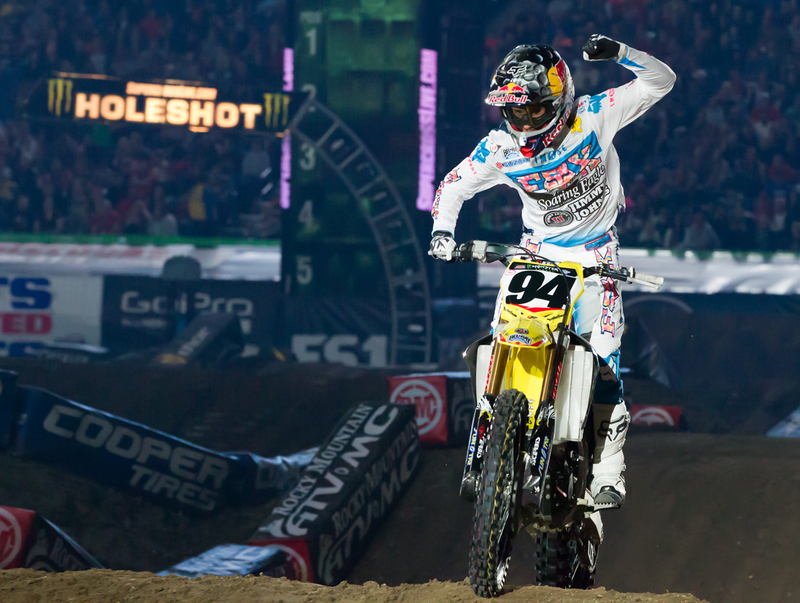 In Supercross, Anderson started with a bang and stayed in the top five consistently. James Stewart, Weston Peick, Trey Canard, and Blake Baggett are among the few 450 riders looking for redemption after a lackluster or downright terrible Supercross season. A few riders (Davi Millsaps, Mike Alessi and Vince Friese) will be switching to the Canadian Nationals, while Chad Reed is going top hit a couple GPs. Let’s look at the riders. Las Vegas was a great preview of Ryan Dungey’s skill as the dominant champion. After winning the 2016 Supercross title in East Rutherford, Dungey didn’t have to prove anything coming into Vegas. He still did. Ryan Dungey will be coming into Hangtown at the peak of his career. Setting a Supercross record of 31 consecutive podiums, Dungey is looking to continue his National podium streak entering into Hangtown. The chances of him defending his motocross title seem likely on paper, but if his competition stays healthy he may have a tougher time than he did in Supercross. Ken Roczen was a threat to Ryan Dungey’s title hopes in 2015. The German had great starts and stamina to equal the champion. However, there was something missing, as he would often fall off and ultimately miss the podium. This year started with even more struggles, as Roczen was unable to put a solid race together. It took him half of the 2016 Supercross season to return to consistently starting in the top five. Fans had been waiting all season for a Dungey and Roczen battle, and it started in Santa Clara. While Roczen had a victory in both Glendale and Arlington, Santa Clara was the first race Roczen started in the front and lost. Since Santa Clara Roczen has consistently put in faster laps than Ryan Dungey. Watching him out at Glen Helen a few weeks ago, this doesn’t seem to be unique to Supercross. If there is anyone who will be a direct threat to Ryan Dungey, it is Ken Roczen. Jason Anderson is rough and bold. His aggressive riding is irritating to peers (particularly Cole Seely). The 450 sophomore had a lot of expectations on him coming into the 2016 Supercross season. He ended the series in third overall. With Husqvarna trying to become a major player in motocross again, the wild New Mexican did a great job at putting the suddenly revived brand in the spotlight. Two wins in 2016 proved that team manager, Bobby Hewitt, had picked the right guy. “El Hombre” has improved in the 2016 season, due in part to training with Aldon Baker. While Anderson is fast, he is still prone to little mistakes while racing. He started the 2015 AMA 450 National series strong, but faded as the season wore on. His pre-season training must have helped, because he ended the 2016 Supercross series almost as consistently as he started it. 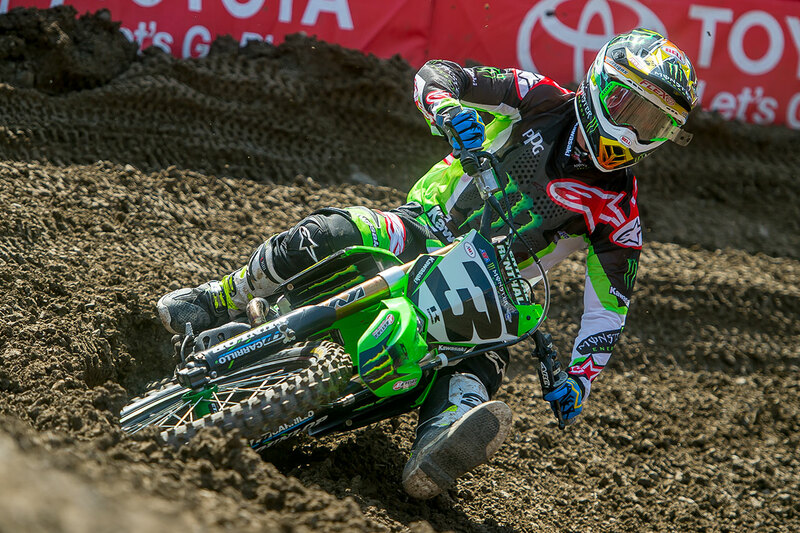 Eli Tomac started the 2015 National season as the rider to catch. The five motos he finished, he won. After sustaining shoulder injuries in front of his home crowd in Colorado, Tomac missed the rest of the 2015 season (click here to read the interview with Eli). He signed with factory Kawasaki for 2016, but was unable to start riding until late in 2015. His time off the bike was very apparent in the 2016 Supercross season. After staring the season mid-pack, it took Tomac the majority of the season to dial in the bike. His one big highlight was Daytona where he won. 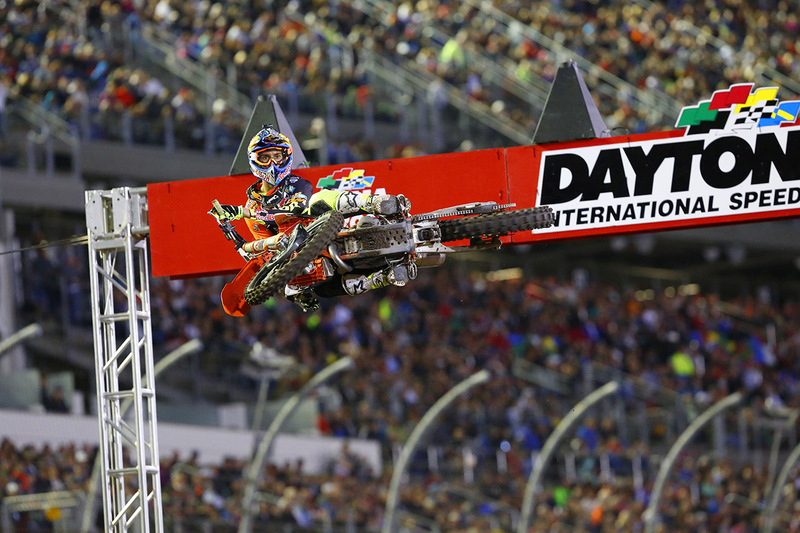 Daytona is the closest a Supercross track gets to an outdoor environment, and he dominated. While Dungey has a good chance of winning the title, there is a good chance Tomac will be the pressuring for wins. He was suspended last year, leaving no stats to post. In 2014 he scored 226 points before an injury at Spring Creek. 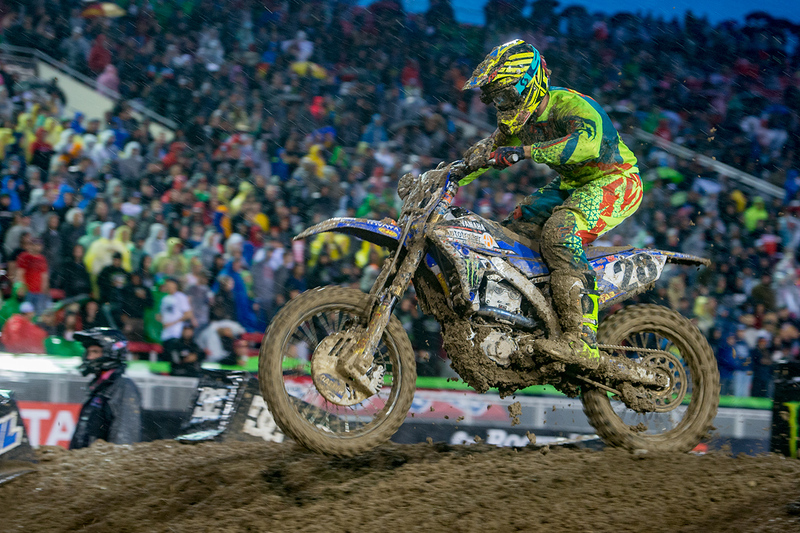 Justin Barcia started the 2015 National season coming off an injury. By the mid-season he was able to take his paltry finishes and turn them upside down with wins and consistent podiums. Coming into Anaheim 1 Bam Bam Barcia was the second fastest ridder until the race was red flagged. Nobody knew why in the “second” main that night Barcia did so poorly. Succumbing to the pain of an injured hand, Barcia sat out most of the season as it healed and hasn’t been the same since he came back. Justin Barcia has been here before. We have yet to see if he’ll be 100% when the gate drops at Hangtown. He finished third overall last year, so we may see the Barcia we remember explode a few races in. While Trey Canard is a top five rider, repeated injuries and crashes have kept him from excelling. His career could use a few outdoor wins before the end of 2016. Trey Canard ended the season ninth in points, and some rumors suggest that Honda may be considering some changes for 2017. Out of the consistently fast racers who lined up for Supercross this season, Trey Canard was the only one (not counting Stewart) to not have a single podium. The last National season he wasn’t able to start until Washougal and was only able to land one podium before the season ended. Honda has stood by him and he wants the results, it just is a matter of getting them. Blake Baggett ended the 2015 AMA Nationals fourth in points. While the Yoshimura Suzuki rider was not front and center in the 450 action, his consistency led to a few podiums. 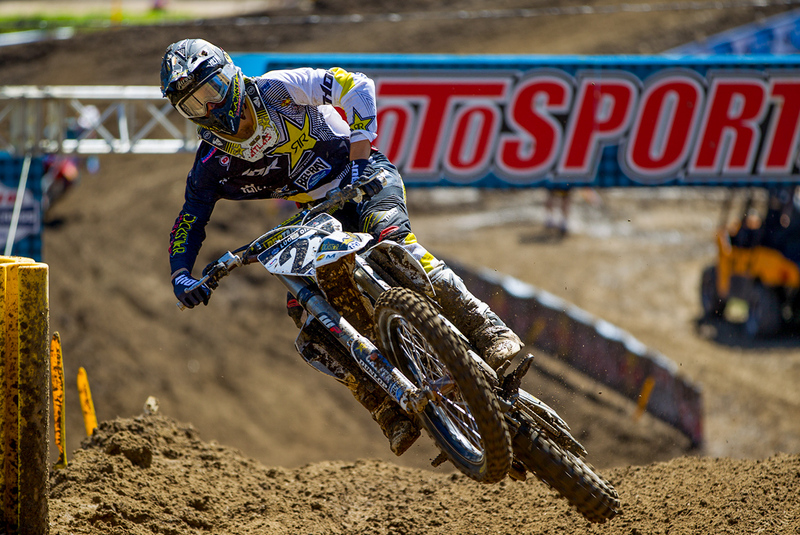 Many forget that Baggett was the 250 National Champion back in 2012. 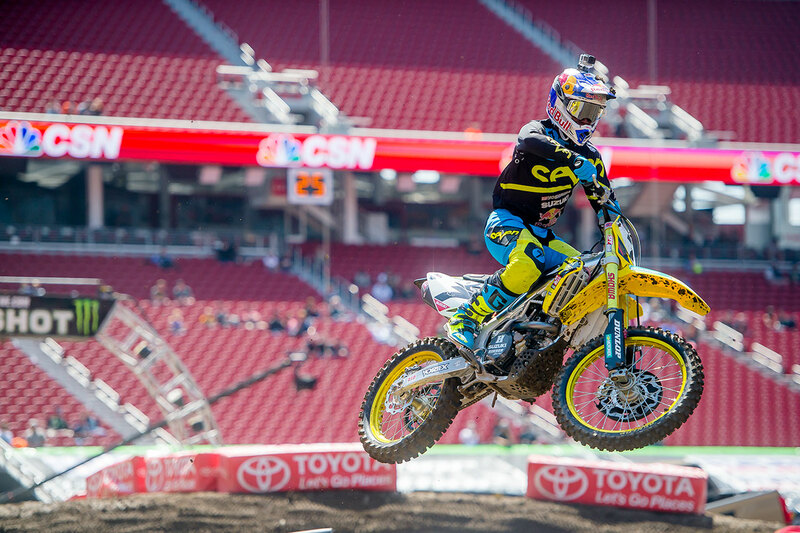 Baggett entered the 2016 Supercross season injured and couldn’t race until Oakland. More injuries kept him off the track until Daytona, where he was only able to finish in 13th place. While he was able to get two top five finishes this season, Yoshimura Suzuki is relying on Blake to come out swinging when the gate drops at Hangtown. Weston Peick is still working his way up in the sport. After fighting to get full factory support, he was brought on by the JGR Yamaha team in 2015. He was able to get a few podiums in Supercross, but only landed one in the AMA Nationals. After an unfortunate start to the 2016 Supercross season, Peick wasn’t able to rebound before the season ended. With rival middleweight opponent Vince Freise going to Canada, Peick may have a fresh start to the 2016 season. Hopefully he can pull out of his slump and get back on the podium this season. Movin’ Marv is a wildcard for the AMA 450 Nationals. He showed a great performance in the 250 class and was only outshone by Jeremy Martin over the last few National seasons. In Supercross, we witnessed a slow start for the KTM 450 rookie with finishes out of the top ten. Once the series moved to the East, Musquin became a regular on the podium and was doing well until a wrist injury in Santa Clara forced him to slow down. He had started the Supercross season 14th in points and would end it in 7th. 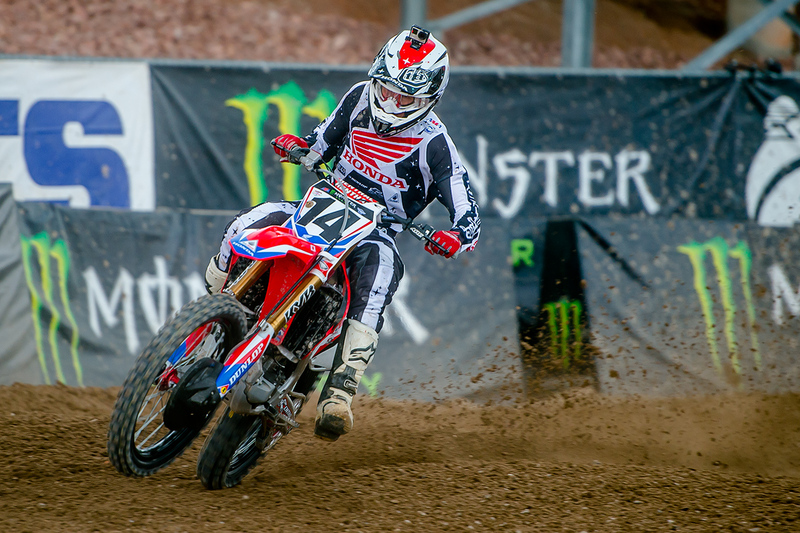 Like rival Jason Anderson, Cole Seely is a 450 sophomore. Unlike Anderson, Seely did not have an explosive Supercross season. Four podiums and sixth in points, Seely is still a rider to watch. In 2015, Cole Seely had a bad ending to his National season. After getting hurt at Budds Creek he would go on to break his nose in Washougal. Justin Bogle is the other rookie to watch in the 450 class. Bogle was unable to complete the Nationals after a crash that pinned him under his bike involving Troy Lee Designs rider Jessy Nelson at Glen Helen. He injured his shoulder and bruised a kidney and lung. His troubles didn’t stop there, when he injured his foot in the offseason. 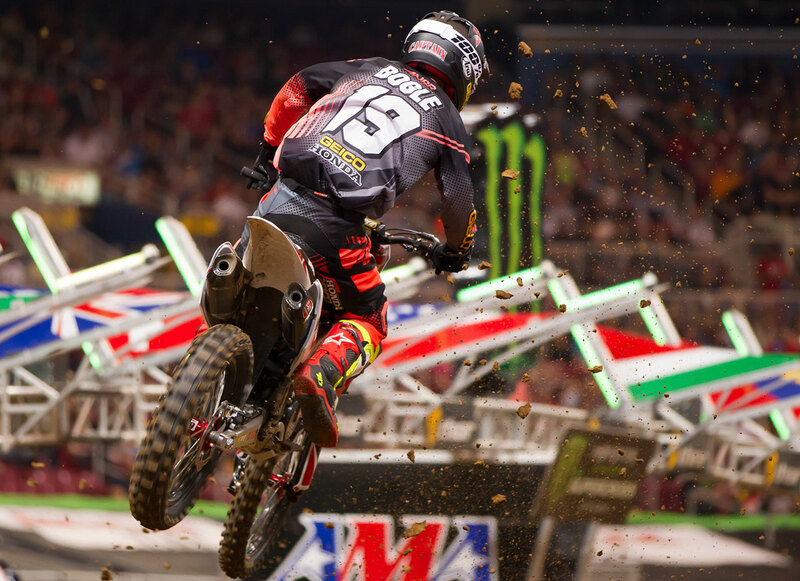 Entering the Supercross season, it took a little time for Bogle to adjust. While he suffered a wrist injury in the beginning of the season, he was able to complete it 11th in points. If Bogle can stay healthy you may see an improvement over the National season.